I am always delighted to get IV questions from colleagues on social networks. Occasionally, I post them on this blog in the spirit of learning. Here’s one on IV needle insertion. Q: Tell me do you insert a needle up or down? A: I am assuming the question you are asking pertains to the bevel of a peripheral IV catheter during insertion. I have been asked this question several times in the past, so here’s my answer. Bevel down vs. bevel up when inserting IV catheters. 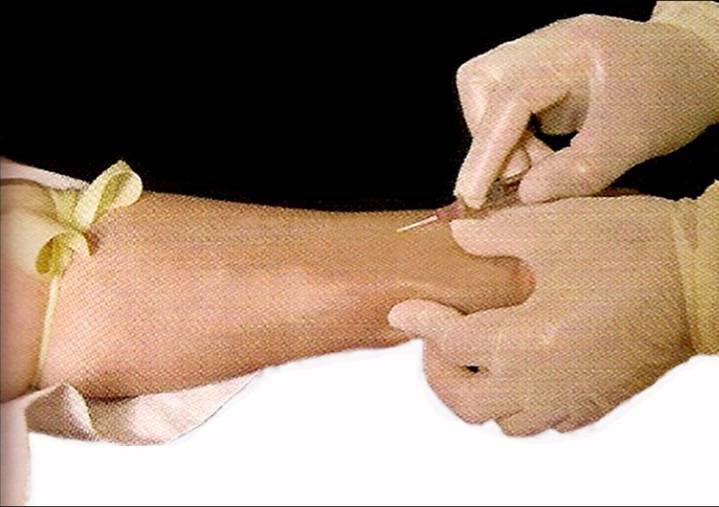 I have always inserted peripheral IV catheters bevel up because entering with the bevel up allows the sharp tip to pierce the skin first, paving the way for the rest of the needle. I noticed that entering the vein with the bevel down causes painful tearing of the skin. I work with adult patients and have only inserted IVs in a few peds patients mostly school age kids, and use bevel up. However, when accessing a dialysis fistula, I use bevel down as it causes less damage and less bleeding. We get taught to always insert needles bevel up.